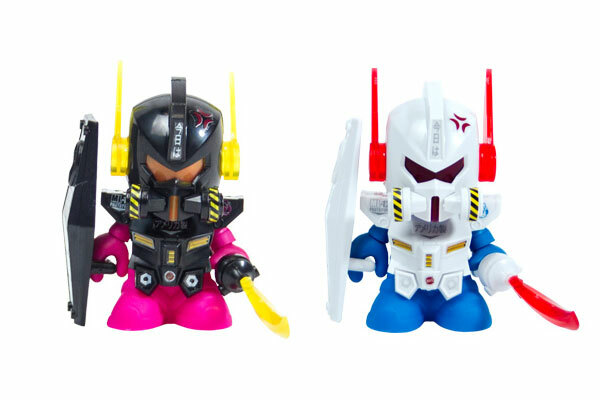 We got these limited edition Kidrobot Bot Mini Dam Gun figures in both colors. These 3 inch vinyl figures come with a snap-together mask, armor, shield and sword. We only have a few of these for sale at our Kidrobot Authorized Hawaii shops at Pealridge and Ala Moana.